As many of you know, Leicaphilia has been operating at reduced capacity for a few months. Part of the reduced capacity was me, for reasons I’ve noted elsewhere, the other was some sort of hack that corrupted file links. As of today, all links should be back up and the comments section working. I should be back to posting on a semi-regular basis in the next few days. In the interim, while you’re breathlessly waiting for my discussion of Martin Heidegger and his concept of “being” and how it relates to photography, take a look at http://blog.insolublepancake.org/, Henry Joy McCracken’s excellent blog where there’s a wealth of good things to read and view. Henry is a loyal Leicaphilia reader and I’ve published some of his thoughts before. He’s also an Astrophysicist in Paris, so he’s smarter than me or you, although meeting him you’d never know he’s so important – just a nice, average guy who loves film Leicas. Lot’s of good stuff there. This entry was posted in Uncategorized and tagged Dr. Henry Joy McCracken on July 11, 2018 by Leicaphila. 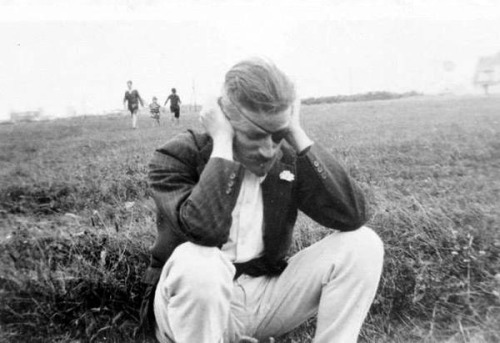 James Joyce, 1922. My favorite pic of Joyce. Maybe Because Sometimes I feel the Same Way. It’s been some time since my last post. Since then, a lot of things have happened, and I thought it would be appropriate to update readers, if any still exist, about what’s going on and my plans moving forward. First, I am aware that there are problems with the site – the links to past posts don’t work, so you’re not able to access the site’s history except by sequentially scrolling back from the main page. I’ve had recurring problems with attacks on the site – why anybody would want to screw with an inconsequential blog about photography escapes me – and just haven’t had the time or energy to deal with it. As well, I realized in hindsight that I needed a break. As such, the tech problems gave me a good excuse to step back and give myself a rest. I turned 60 yesterday. Sobering, even though I’m content and in good health. I’ve found myself wanting to step back from a lifetime interest in photography and just let it be for awhile. A precipitating reason for doing so has been my realization that traditional ‘photography’ as I know and practice it is dead. My photographic tastes and interests are relics of an outdated mindset, the functional equivalent of the old guy still driving his 66 Mustang. In reality, you can’t go back; technology and aesthetics and practice move on, and reflexively criticizing the current state of things – which in proper measure serves as a necessary counter-balance to some of the obvious problems associated with digitization – can become tiresome. As for the blog, I intend to continue it for so long as I’ve got something to say. Whether anyone listens is not really my concern. I assume there are a few discriminating people out there – both old and new photographers – who my ideas might resonate with. So, expect the blog to be ongoing, and expect that at some point I’ll have the tech issues resolved and the site will be functioning properly and I’ll be adding content on a semi-regular basis. For the time being, other interests will be taking much of my time. I am about to embark on a new phase of my life. I’m easing my way into self-imposed semi-retirement in my profession, and will be enrolling in a graduate program at Harvard University in Cambridge, Mass this Fall. Why? 30 years ago I quit graduate school to go to work. I was recently married and had bills to pay. In the back of my mind, I told myself I could always go back someday, if for no other reason to finish what I had started. Now’s the time to do it, and the opportunity to do it at Harvard fulfills a lifetime dream. The degree, were I to achieve it, wouldn’t be for anything other than the doing of it itself, but that seems to me to be the best reason to do anything. Waldo Emerson, the 19th century American writer and philosopher, said that the one maxim he lived by was that one should always do the thing that scares you the most. Good advice, I think, getting out of your comfort zone. I’ve tried to follow that rule in my life, sometimes to better effect than at others, but I see no reason why it’s not still applicable as I’ve gotten older and more settled. So bear with me. I intend to be here for awhile. Check back here occasionally. 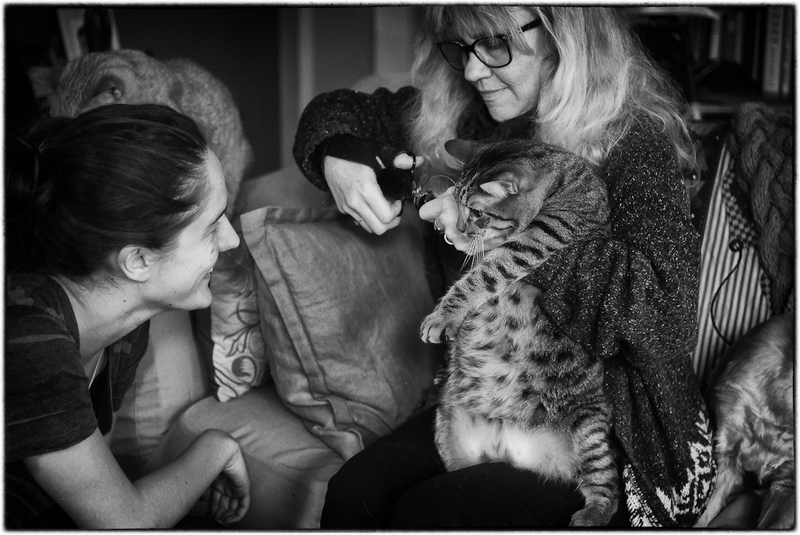 And feel free to email me at leicaphilia@gmail.com if you’d like to say hi. This entry was posted in Uncategorized on June 22, 2018 by Leicaphila. 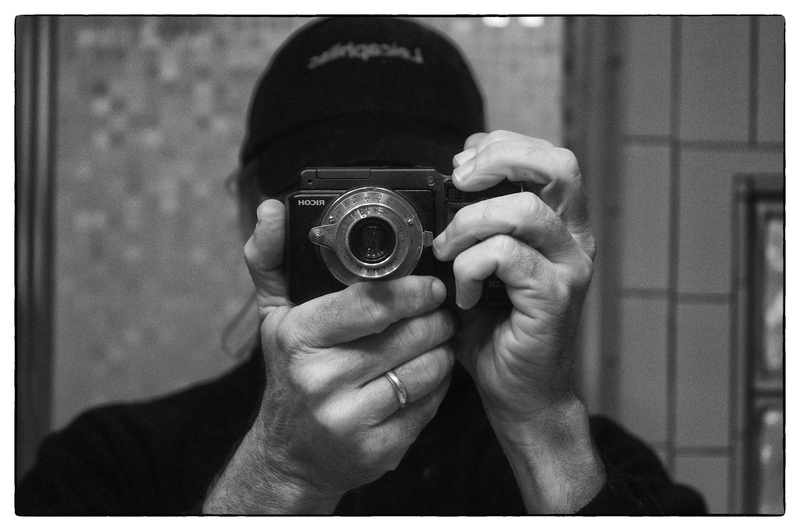 Become a PROFESSIONAL LEICA PHOTOGRAPHER! 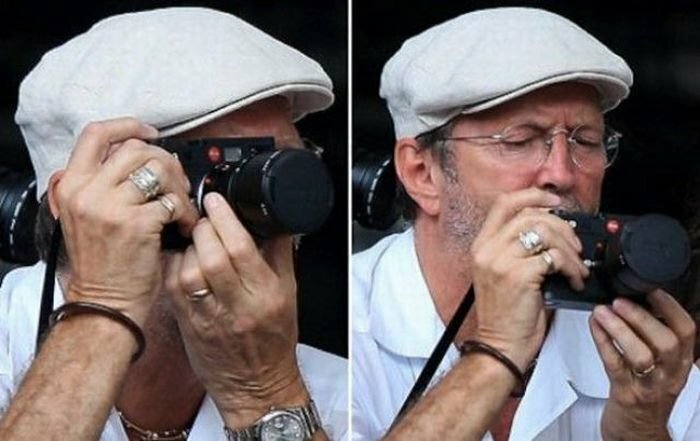 A Professional Leica Photographer. Now YOU Can Be One Too! Welcome to your future in the exciting world of Professional Leica Photography. We here at Leicaphilia have created a new, exclusive website to help you to learn to be a Professional Leica Photographer! At our exclusive website you’ll find some of the most talented photographers in the world, experts you won’t find even in the most expensive subscription magazines. That’s because they only post on our site; you won’t find this information anywhere else! Some of them, famous enough that they must post under an alias, while others disclose their studio name, it’s up to them. In either case you’ll get to read and discover photography techniques from the Pros, highly prized and vigorously protected Leica trade secrets that will make you an expert at taking pictures with a Leica. 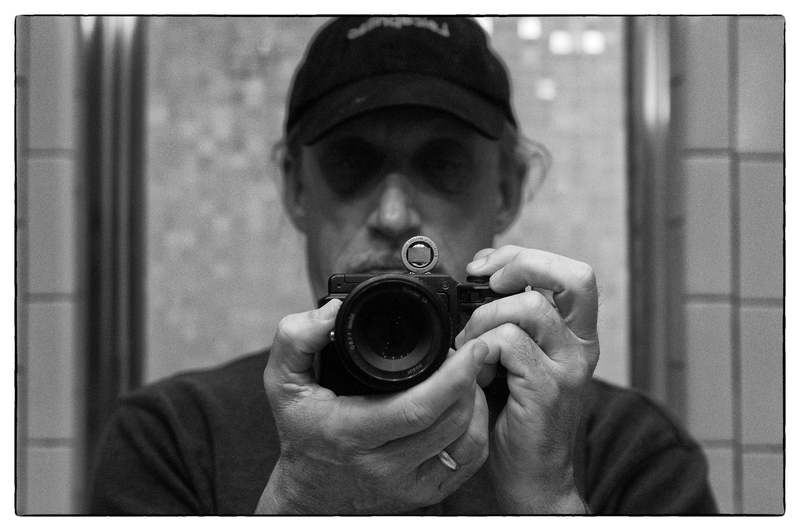 We have one goal: to turn you into a Professional Leica Photographer. Unlike other websites, we don’t try to pitch DSLRs, lenses, and other gear while collecting sales commissions. We don’t sell photography tutorials, books, videos and courses while promising that your photography will improve only if you buy what’s being promoted. We promise that your photography will get better. We promise because we are Professional Leica Photographers. We are professional photographers (or serious amateurs), some with decades of experience, who use Leica cameras and will share with you what we’ve learned – what Leica gear we use, which Leica products really work, which techniques work and which don’t (e.g. how to get great bokeh etc). It’s all completely unbiased. We simply have no reason to lie to you. We have travelled the world, living out of suitcases, taking photos of beautiful and glamorous people who live in villas and/or own yachts, or we are on the front lines of conflict around the globe, risking our lives for the money shot. Many of us have photographed ‘Royalty.’ The one thing we have in common is this: we use Leicas, and we know everything about them. You’ll discover this information straight from the source, from famous Professional Leica Photographers, not from grumpy self-appointed “experts” in some amateur magazine or rich rock stars who think they know everything because they use a Leica. 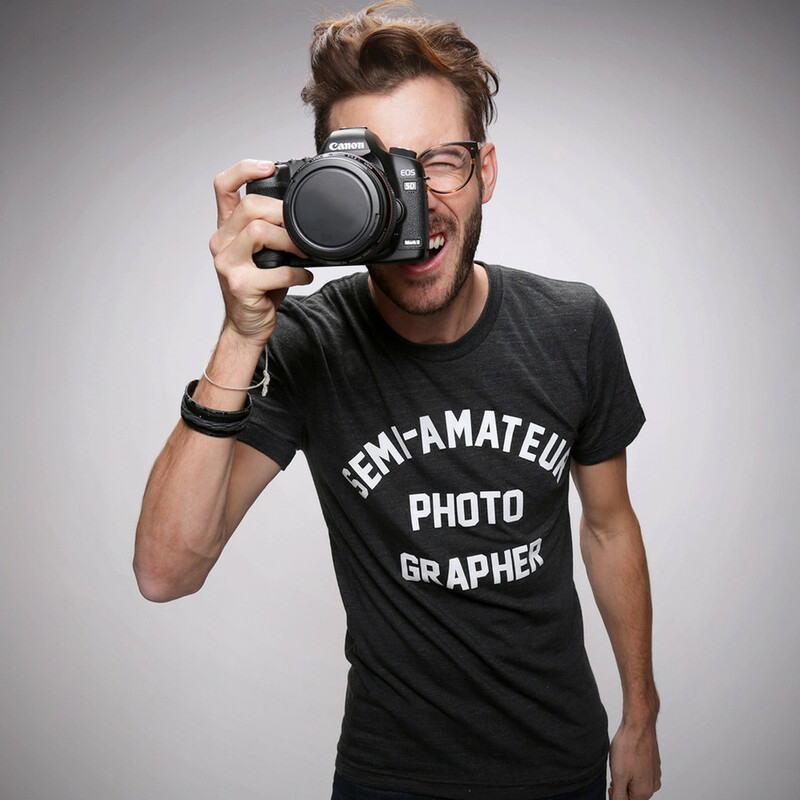 It’s what makes us different from other photography websites out there – we’re the real deal. We’re Professional Leica Photographers. Discovering what famous Professional Leica Photographers have to share will help you figure out which Leica gear to use and how to use your existing Leica gear to its fullest potential. So it doesn’t matter if you are only thinking of which Leica to buy or if you already have all your Leica equipment — you’ll still find plenty of solid advice for any situation. We cater to beginners, intermediate, advanced, and professional photographers. 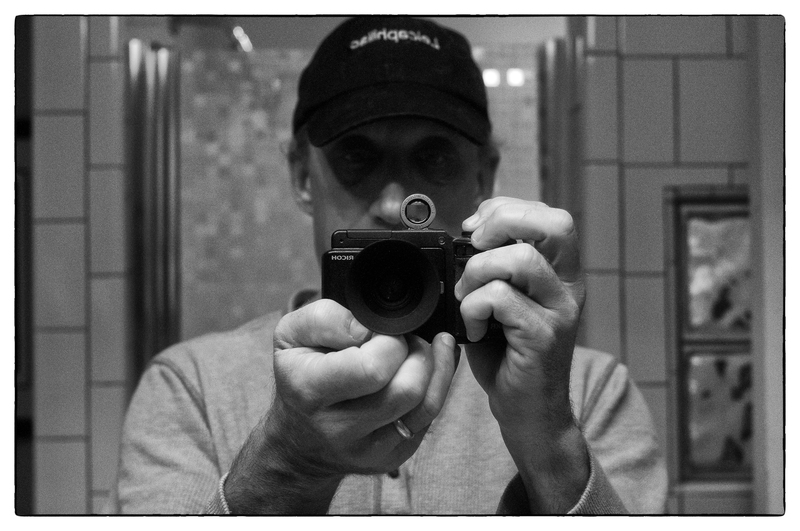 As long as you use a Leica or want to use a Leica. It doesn’t matter whether you are just getting into photography or you have decades of experience — you’ll still find plenty on our secret professional website that will interest you because we cover all bases. We make it simple for the newbies, yet interesting for Professional Leica Photographers who’ve shot hundreds of gigs and would gladly be reminded of things they once knew but forgot. So no matter what your expertise level is — keep reading below. We cover both film and digital Leica photography because film photography, along with digital, is a preferred medium for Professional Leica Photographers. 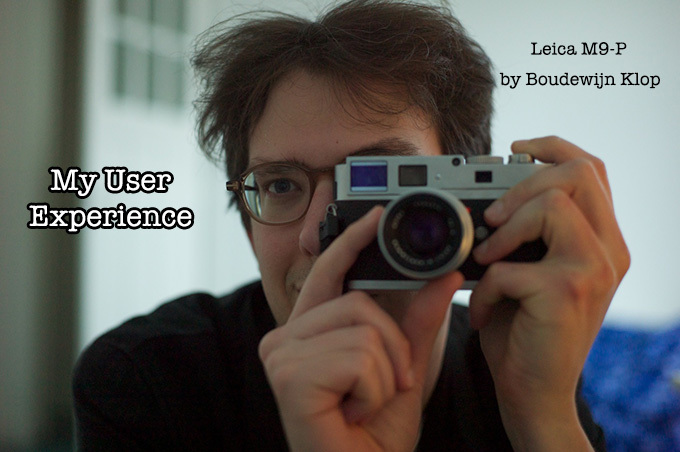 We talk about Professional Leica Cameras. 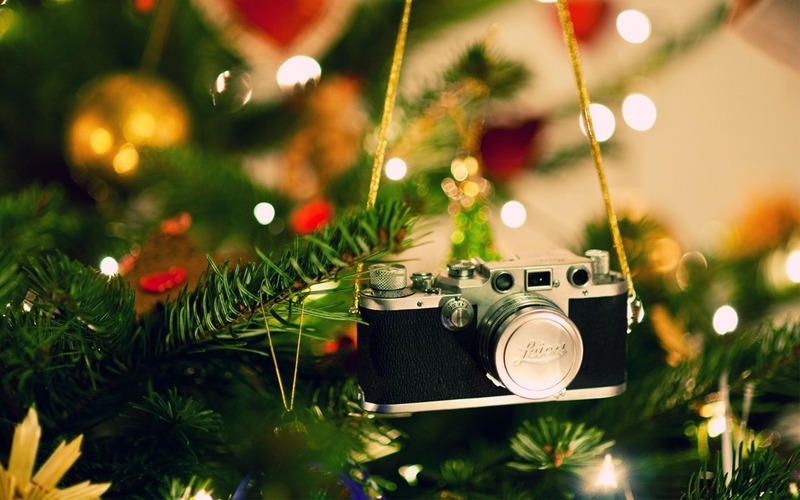 Professionals agree – the best camera is a Leica. You’ll be one of a select group of Professional Leica Photographers like Ansel Adams, Robert Capa, Amelia Earhart, and Lenny Kravitz who’ve all used the famous Leica Camera. You’ll learn the one reason why Leicas take the best photos (hint: It’s because of a device first discovered by mariners to help chart their course – that’s why Amelia Earhart used a Leica!). You’ll learn that, unlike other cameras, every Leica ever made contains this amazing device…and you’ll learn to use it to make amazing photos. It doesn’t matter if you shoot with an M1 or with the new M10. You need to know how to take great pictures with the Leica you have on you right now, while the shot is still there, not later when you get your Leica out, yet the opportunity to take the the picture is long gone. You’ll learn to take photographs as amazing as Carter Bresson, a Frenchman who used a Leica and invented a type of photography called the Decisive Moment. We’ll teach you the Decisive Moment technique used by Bresson, Eric Kim, Thorsten von Overgaard and other legendary greats – which moments are decisive and which are not and how to use your Leica when you’re presented with a Decisive Moment. It’s all there! 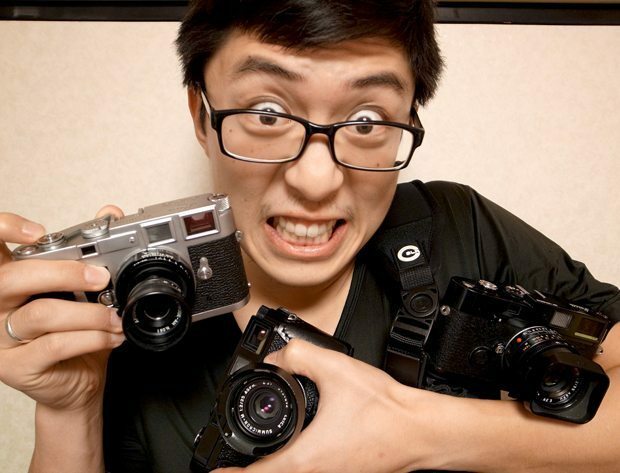 Famous Professional Leica Photographer Eric Kim – Ready For the Decisive Moment! 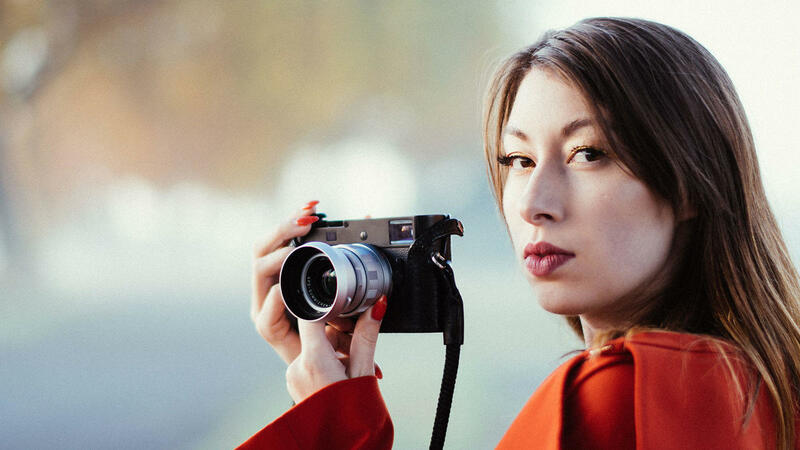 We cover all aspects of Leica photography – from picking Leica gear to composition to working with models to handling strangers asking you about your Leica, and everything in between. If you are lacking in some aspect, you’ll improve. If you are a total newbie, you’ll learn it all. 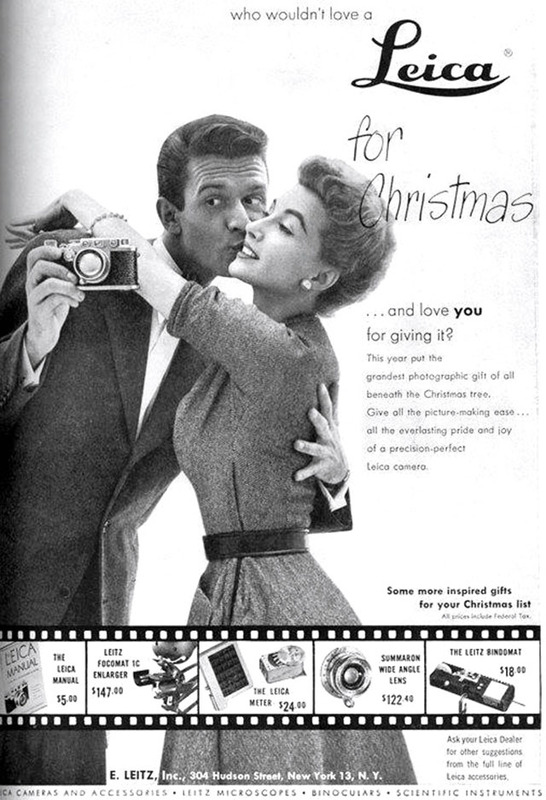 And through all of it, you’ll be sporting a cool Leica camera which will impress your friends…and the ladies. 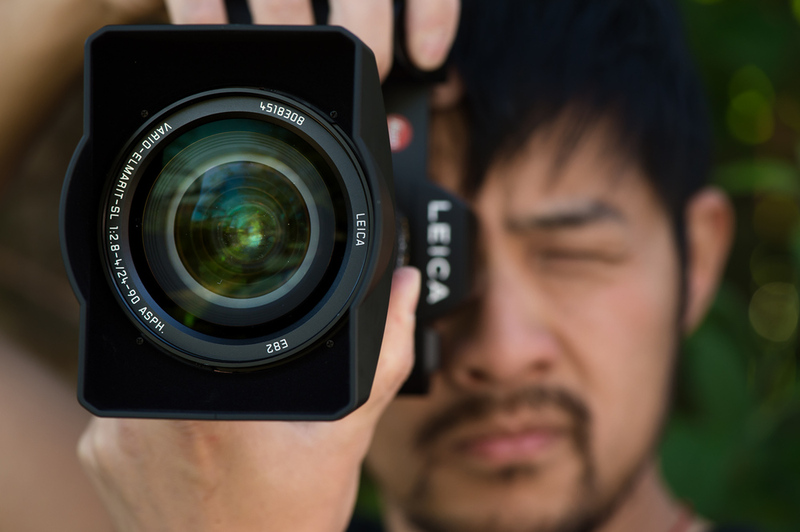 You’ll gain the confidence to become a Professional Leica Photographer. You’ll be receiving new tips and techniques on how to take the kind of pictures that will make your friends, relatives and peers just stare in amazement, speechless, when they see your work. Yep! That’s how good your photography will become when you own a Leica and take our exclusive Professional Leica Photographer course. If you ever have a question or need help, you can always ask, and a Professional Leica Photographer will cover your question in an Email direct to you. 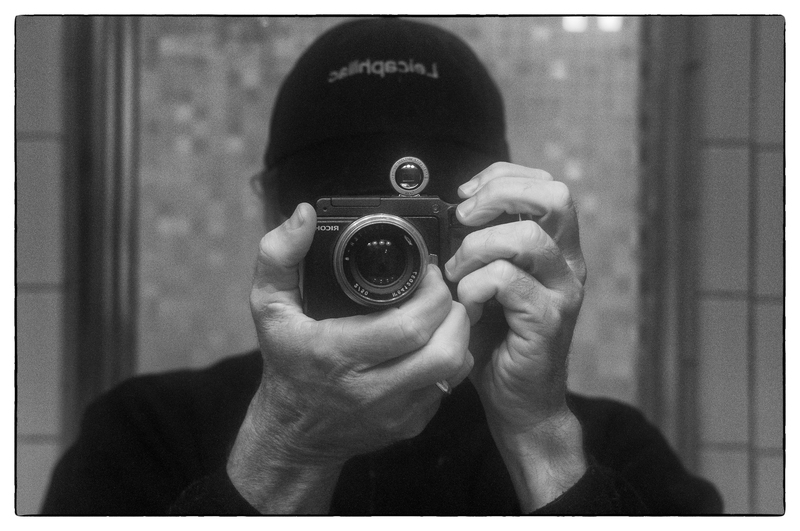 Famous People Like Eric Clapton (guitarist for Vivian Stanshall Sean Head Showband) use a Leica! Find Out Why! Trust me, I know the feeling. And you’ll know it too. People telling you “oh wow, it’s like in the magazines! And you took it with a Leica!” when seeing your pictures. (Surprisingly, the most common response you’ll hear from people after you’ve taken our course is “it’s like in the magazines”. Not Instagram/Facebook/Snapchat feed or whatever, but quality magazine. That’s the first association that comes to their mind. The mark of a true Professional Leica Photographer, even if you are an amateur – a dentist or a doctor, even if you work in a saw mill! – and do this just for fun. I love it when people say that while looking at my pictures, even when they are looking at my pictures on a screen. Oh, the irony! Just imagine that feeling. Pretty soon, they will be saying that to you. You’ll be receiving all original content – tips, tricks, reviews and discussions that you won’t see anywhere else. Not at La Vida Leica, or Thorsten von Overgaard’s, or Ken Rockwell’s. 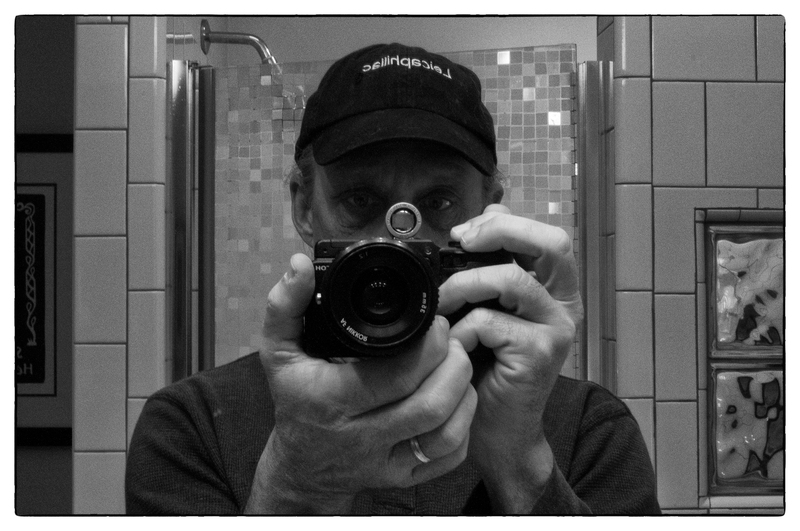 You’ll only see this Professional Leica Photographer information on our website, – not the same old and tired copied and re-copied “tutorials” of fake people who claim to be “professionals” who seem to be flooding all the Leica sites out there. A lifetime subscription to our Professional Leica Photographer website is only $2399. Yes, that’s right. Only $2399* for a lifetime of professional photography education with continuing online support**. ( Sign up today and we’ll send you, at no extra cost our supplementary course “Bokeh: What It Is and How To Get It“). That’s less than a 50mm Summarit 2.5. Enroll now. Space is very limited and demand has been high. Act today to assure your participation in this once in a lifetime opportunity. 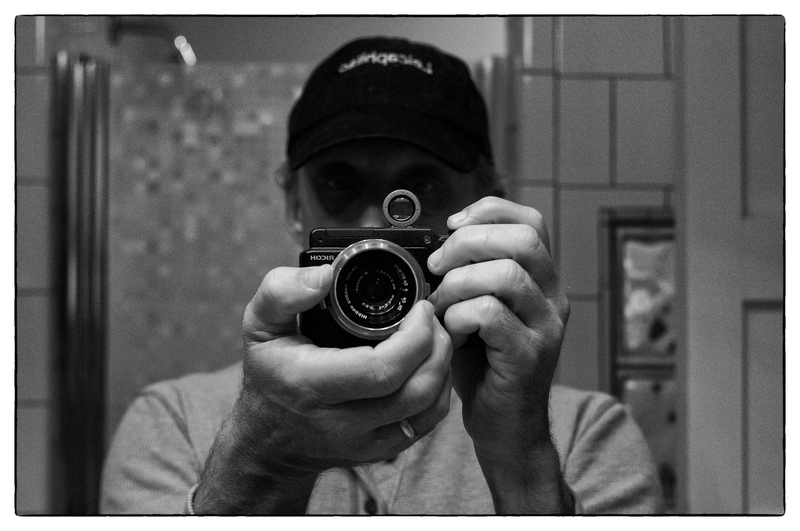 And while you’re at it….help us maintain this free site by contributing $25 to us here at Leicaphilia. It costs money to bring you the professional content we’re known for, and your $25 [monthly] contribution will help us defray those costs. So, if you’ve been enjoying the content of Leicaphilia, please Paypal your $25 [monthly]**** payment to leicaphilia@gmail.com, the one site you can trust to give you unbiased Leica information. Seriously: Who do you trust? 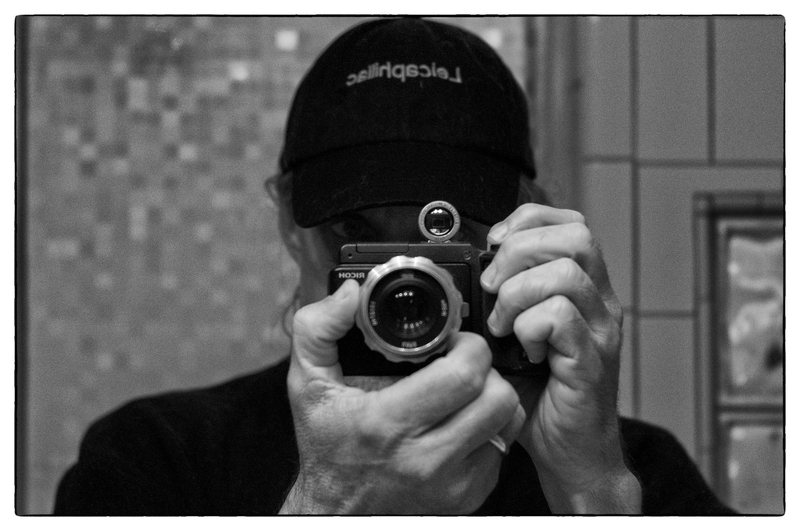 Professional Leica Photographers….or some guy named Boudewijn Klop? ****Payer agrees that said contribution via Paypal shall constitute a binding agreement between the Payer and Payee (Leicaphilia) wherein Payer agrees that Payee may automatically credit the like amount of said initial payment each thirty (30) days thereafter, based upon valuable, ongoing consideration received by Payer from Payee, said payment to terminate upon mutual agreement of the parties herein, any conflict arising in virtue of said automatic withdrawals to be conducted via the rules of arbitration as set forth above, with the added provision that Payer shall give Payee one (1) year notice of intent to enforce right to seek arbitration, during such time Payer shall continue payment under the terms of said agreement contained herein. This entry was posted in Uncategorized and tagged Leica Professional Photographer on April 4, 2018 by Leicaphila. Thorsten Overgaard and his Elephant Skin Camera Bag with Cashmere Lining. 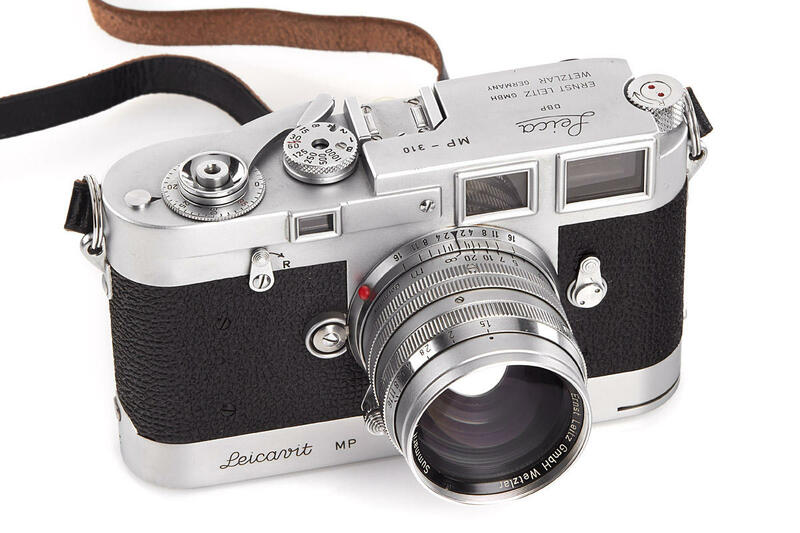 Perfect for your Sultan of Brunei Leica While Photographing Danish Royalty. Thorsten von Overgaard travel [sic] to more than 25 countires a year and live [sic] his life in a suitcase. Every bag is put to maximum use. 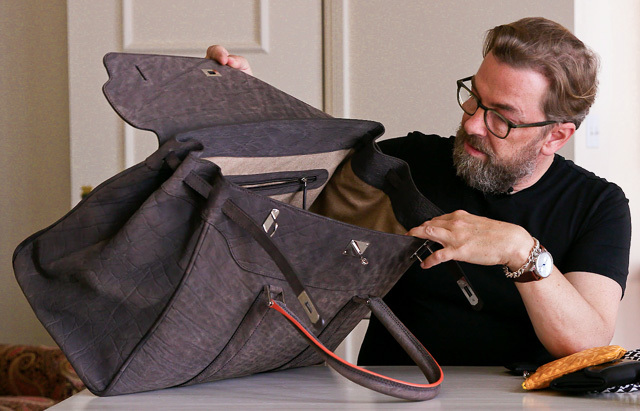 Thorsten von Overgaard and Matteo Perin joined forces to design luxury travel bags for people who appreciate the best and demands durability for a lifetime. 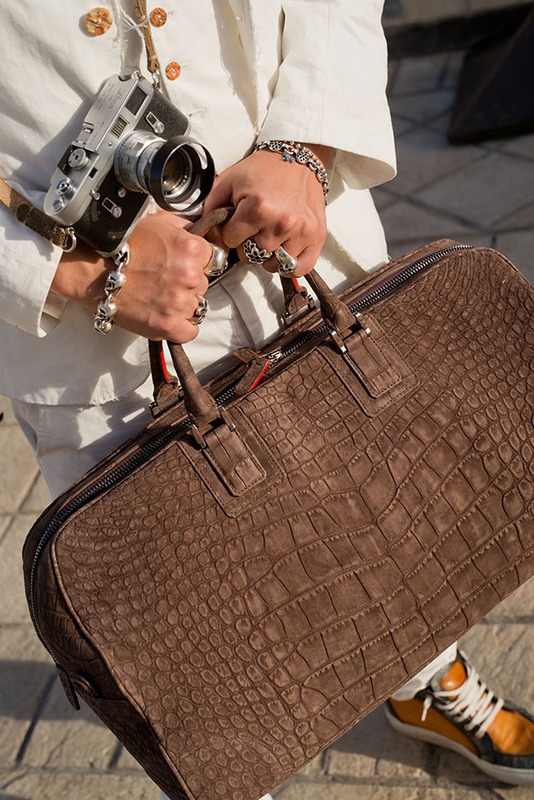 Thorsten von Overgaard [he’s added the “von” recently – “von” traditionally denoting aristocracy***] has transitioned into the luxury camera bag business. Apparently, when Goyard in Paris wouldn’t fix Thorsten’s Goyard Aplin backpack, damaged while travelling to his Royal Mongolian yurt, Overgaard decided to make his own bags. To do so, he sought “the best artisans […] using best possible materials, based on many years of experience, resulting in a product that could last for generations.” The end result is him “joining forces” with some fellow Scientologist meatball named Matteo Perin to produce crocodile and elephant skin bags. Who he’s partnered with to shoot the elephants to skin for the bespoke bags is not clear. 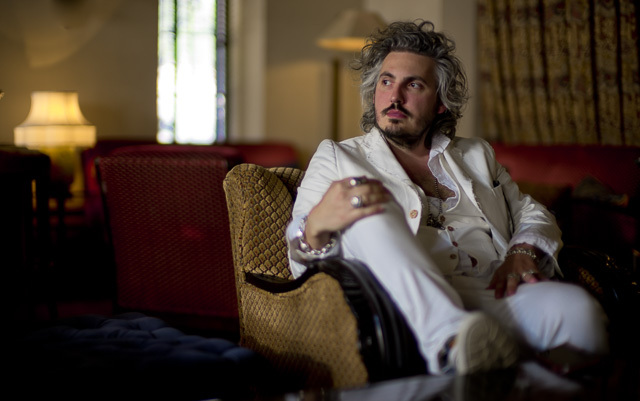 Perin claims he “makes trunks, blankets and all the luxury items you can think of, for private airplanes, villas, cars and yachts.” Right. *** Overgaard, who for some reason started referring to himself as “von Overgaard” a year or so ago, took up photography in 2005. Before that he worked in a lumber mill [true]. He seems to have no real gallery or publishing or photographic industry presence other than self-promoted fluff pieces hyped by a marketing agency and some self-published books. A deep dive into the footnotes of his scantily sourced Wiki is hilarious. Here’s some more interesting info on Mr. Overgaard. Overgaard is married to fellow Scientologist “Princess Joy Villa.” The Princess was born in Orange, California, to the Rev. Joseph Villa, of Italian descent, and Mildred Angela Pierce Villa, of Afro-American and Native American blood. She attended Lompoc Public High School, no University education noted. According to her Wikipedia page she is an “actress and producer,” “her acting career mostly consists of minor, un-credited appearances on television. These roles include an umbrella-wielding carny in a “Heroes” Season 4 episode.” As for her claim to be a “producer,” no production experience is referenced. On October 27, 2017, apparently unfamiliar with the residency requirements for elected office, Villa announced that she was considering running for US Congress as a Republican in either Florida, California, or New York. Her Wikipedia page contains no further update on her political ambitions since that time, nor any further “minor, un-credited” acting gigs, with or without umbrella. Perin, presumably, modelling a croc duffle bag which apparently has no room for the M4. Someone needs to tell this guy to tie his shoes. This entry was posted in gratuitous Leica Swag, Uncategorized and tagged Matteo Perin, Thorsten Overgaard, Thorsten von Overgaard on March 25, 2018 by Leicaphila. A Leica 0 Series No. 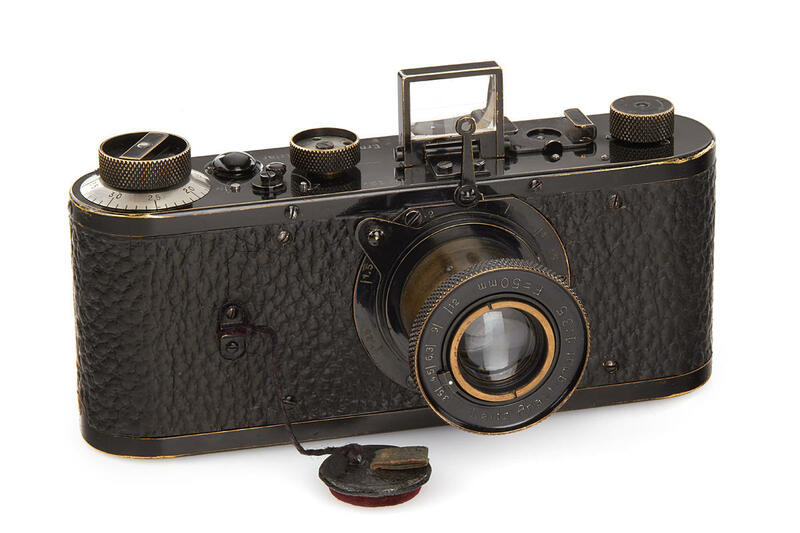 122 has sold for 2.4 million euros (2 million hammer price plus surcharge) via Westlicht auction, a new record price for a camera at auction.The Leica 0 series was produced by Leitz in 1923, two years before the commercial launch of the first Leica. Leitz produced 25 test cameras, of which three are left in their original condition.The previous record holder, another Leica O Series, was auctioned by Westlicht in 2012 for 2,160,000 euros. No word on whether Amelia Earhart owned either of them. Also auctioned were a Leica MP-89 for 456,000 Euros from the collection of Jim Jannard (the founder of Oakley, if that maters), and an Leica MP-2 for 432,000 Euros. For my money, the most interesting Leica offered was a Leica MP, serial number MP-310 with all original features, (e.g. body without self-timer and with early strap lugs, matching back door, double stroke advance), with matching chrome Leicavit MP and Summarit 5cm 1.5 #1515004, in beautiful condition. Final hammer price 54,000 Euro ($57,000), which in this day and age of astronomical vintage Leica prices, almost seems cheap. This entry was posted in Collectible Leicas, Uncategorized and tagged Leica MP on March 17, 2018 by Leicaphila. My wife claims I suffer from SAD – Seasonal Affective Disorder. SAD is a type of depression that’s related to the change in the season — symptoms typically start in the fall and continue into the winter months, sapping your energy and making you feel moody. It’s why I can’t live in places like Amsterdam where you never see the Sun; I go nuts after a month or two of grey, skuddering skies. To support this she notes that every winter, once the sun gets low, I tend to put on my PJ’s and spend an inordinate amount of time watching dark, depressing Swedish movies with the blinds closed. I’ll occasionally walk the dogs in my bathrobe, which embarrasses her to no end. I’m generally lethargic and slow-witted, and my discretionary bourbon spending tends to increase. I never really thought about it that way until she mentioned it to me, but I suppose she’s right. I have been feeling uninspired lately, especially in thinking of things to write about here. You can only say the same things so many times before it becomes stale. So, I’ve decided to do a “lens test,” you know, post a bunch of pictures from various lenses under marginally controlled conditions and then make sweeping judgments about them. What motivated me to do this was this: for some reason, I’ve started feeling an urge to buy a new LTM Summicron for my IIIg, and I thought that maybe this would finally put a stop to my recurring, admittedly irrational desire to own at least one top-flight Leica lens, and a Summicron /lux- either the LTM 35mm ASPH or the LTM 50mm f1.4 Summilux- seemed the natural choice for the IIIg – the ultimate Barnack Leica paired with the ultimate Leica lens. My sense is it wouldn’t make a bit of difference to my photographs (let me rephrase that – I know it won’t make a bit of difference). My opinion is this: unless you’ve got a really bad copy of a lens – super sloppy tolerances or misaligned elements, uncoated element surfaces, scratched or full of fungus – most fixed focal length lenses from the 50’s onward give more than acceptable results, and many ostensibly “cheap” lenses can give results comparable to Leica lenses costing 10X- -100X as much. 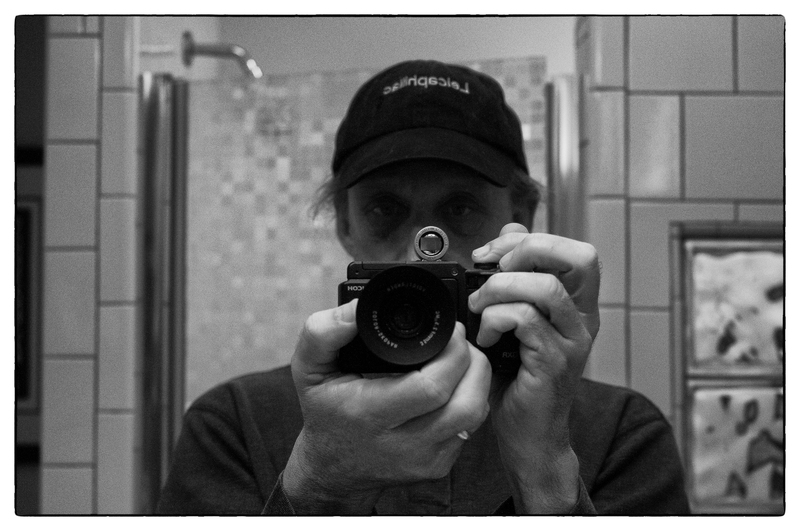 After all is said and done, a $2000 Summicron or Summilux won’t give me anything my Industar or Nikkor or VC can’t. What I did was this: I found every 35mm and 50mm lens I had that was capable of being mounted on an M-Mount camera, in this instance a Ricoh GXR with A12 M-Mount, and shot the same photo with it, same lighting, same f4 f-stop, same 1600 ISO. I chose f4 as the demonstrable f-stop because it was the first partial aperture each of them shared and it’s an aperture that’s wide enough to still give some sense of the character of the lens. Too lazy to go outside and find appropriate fence posts (why must every lens test involve fence posts? 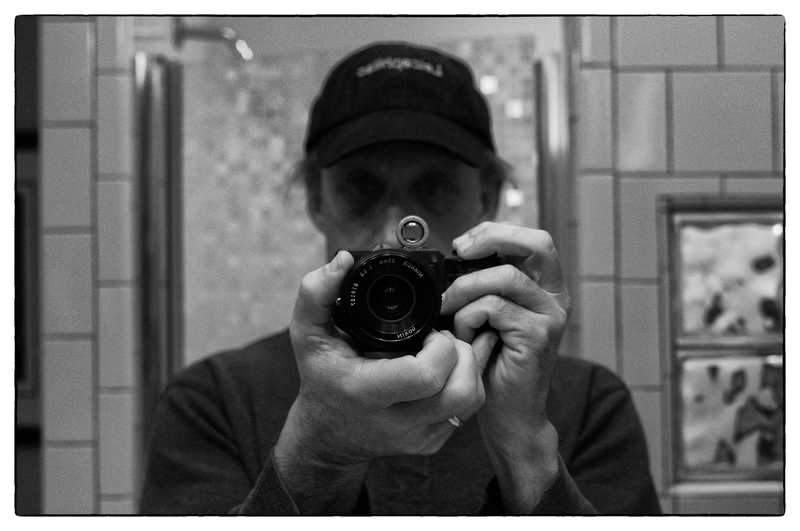 ), I chose a bathroom mirror selfie; it offered a good gradation of tones, the tiled wall behind me, with its straight vertical and horizontal lines, might give some sense of any lens distortion and there’s also enough sparkly stuff in the shower door to highlight bokeh. Perfect. As for post-processing, they were all shot as RAW and converted to jpegs in LR, where I also applied the exact same levels of marginal structure adjustments and sharpening, which is what I’d do with most any photograph I edit. Of course, all of the above decisions are completely arbitrary and will affect the results in unknown ways, which is why informal internet lens comparison tests like this one are always problematic. The lenses tested were, in order of presentation – a 35mm f2.5 LTM VC Color Skopar Classic; 35mm f2.5 LTM VC Color Skopar Pancake; a W-Nikkor 3.5cm f2.5 for Nikon S; an AF Nikkor 35mm f2 for Nikon F; a manual focus Nikkor 35mm f2.8 for Nikon F; and a manual focus Nikon E series 35mm f2.5 for Nikon F.
Lenses tested were, in order of presentation – a Russian made LTM Industar-22 5c.m f3.5 collapsible; a Russian made LTM Industar-26M 5.2 cm f2.8; a Russian made LTM Jupiter-8 5c.m f2; a manual focus Nikon Series E 50mm f1.8; and finally the current version AF Nikkor 50mm f1.8. Conclusions? With the exception of the AF Nikkor, all of the 35’s look pretty much alike. For some reason, the DOF is different on the AF Nikkor than the other lenses, why I have no idea. I see some marginal differences in contrast and how the lens deals with light fall-off behind its plane of focus, but that’s about it. You can easily tweak contrast in LR. Interesting because, while there’s not a Summicron in there for comparison, the VC Color Skopars, which will cost you +/- $350 used, are considered to be excellent optics, not far removed from the traditional 35mm Summicron, as is the W-Nikkor 2.5, at about the same price used, made for the Nikon S cameras. The other Nikkors are super cheap (+/- $200) while the E Series Nikon can be found for $30 used. I’ve always thought the Nikon E Series lenses, derided by purists when they first appeared in the 70’s because they contained some plastic parts, are incredible bargains, the entire line being excellent. As for the 50’s, they all look pretty much alike again, with the exception of the Jupiter-8, which is markedly softer than the others. With all of the FED LTM lenses, sample variation is the norm. Both Industars look great at f4, indistinguishable from the excellent AF Nikkor 1.8 which Nikon enthusiasts rave about. I paid about $20 each for the FED lenses and the Series E and $80 used for the AF Nikkor. 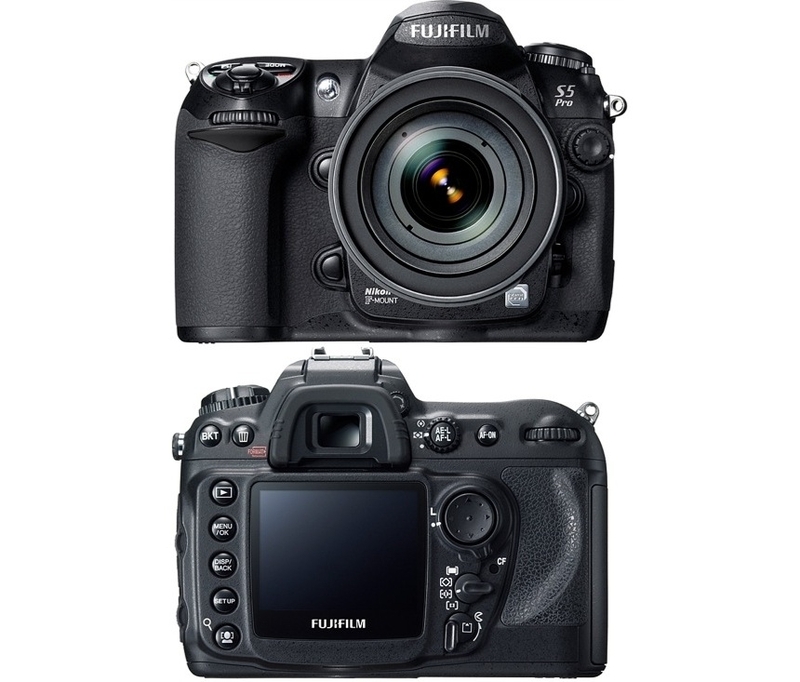 Would a $3500 Summilux be much better? I doubt it. It may have better MTF charts, feel smoother in operation, make you feel special etc etc, but whatever marginal increases in optical performance it might possess mean little or nothing in practice. It sure is a beauty though; no doubt about it. Is the enhanced pleasure you’ll presumably get by toting it around on your IIIg instead of a 20$ Jupiter worth the extra $3475? Only you can answer that, although I don’t begrudge your decision. It’s your money. The larger conclusion is that “comparison tests” of lenses are gimics, interesting to read, fun as an intellectual exercise, but of no real value if what you’re looking for is an objective evaluation of the critical optical merits of a given lens and its practical implications for use. 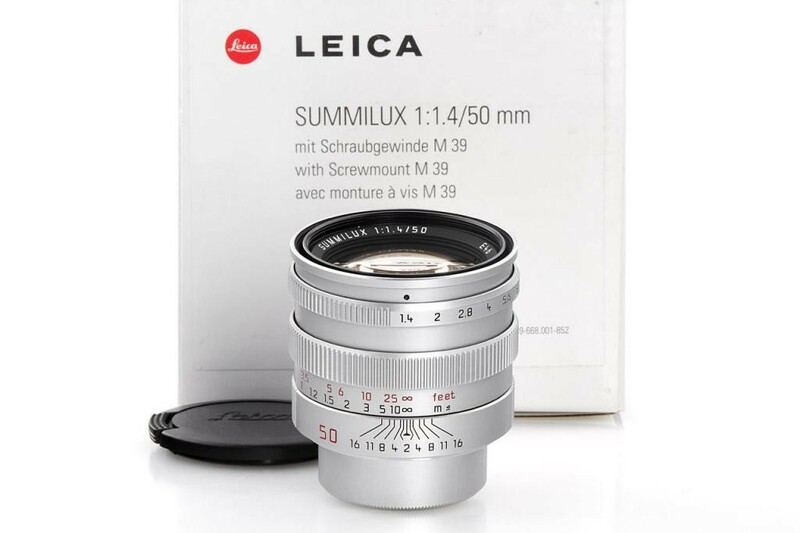 Suffice it to say I won’t be buying that Summilux. I’ve posted slightly larger jpegs that you can click on and open for further examination if you’re that sort of person. This entry was posted in Leica Camera, Leica IIIg, Leica Lenses, Uncategorized and tagged Leica Summicron 35, Leica Summilux on February 1, 2018 by Leicaphila. 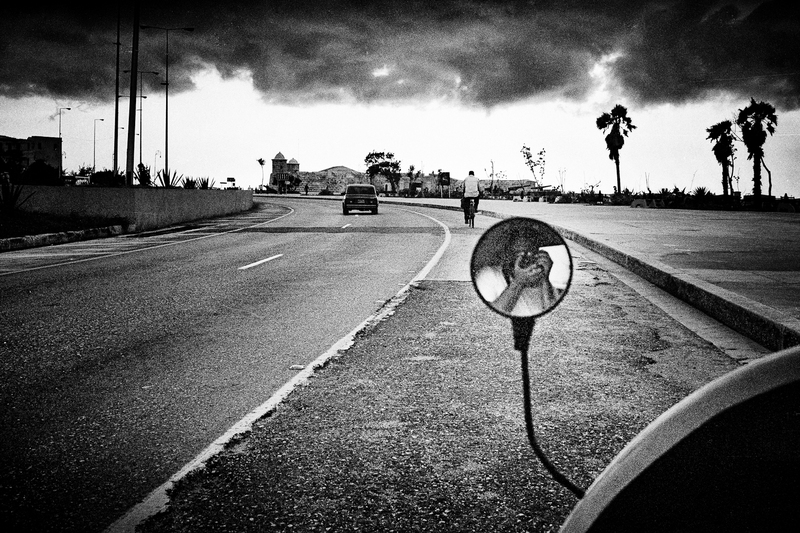 Selfie, Havana 1998: That was me, I was there, that’s what I remember. Let me show you. I rarely receive critical or hostile comments about my posts, which is surprising, as I’m excessively, sometimes rudely, opinionated about certain photographic issues. Given past experience trying to debate meaningful topics on internet forums – typically I was thrown off any given forum within a week or two, usually the personal target of a moderator who thought proper forum etiquette required unquestioning allegiance to whatever accepted opinion currently ruled – that opinion usually the desired result of crafty advertising by camera companies constantly pushing the “new and improved” as a means of insuring financial viability – I assumed these same types with the same blinkered views would find their way over here, certainly given the Leica name associated with the blog. It’s why I went the first few years without a comments feature because, frankly, I wasn’t interested in what other people had to say. The whole purpose of the blog was to free myself from the constrictions imposed on a critically thinking person elsewhere. Hence Leicaphilia. 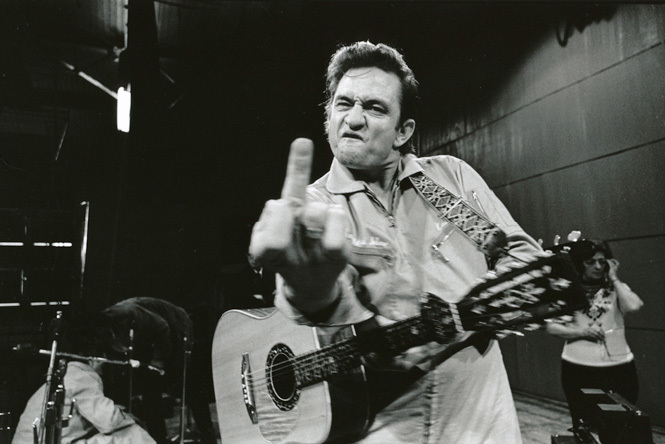 It was my extended love letter to the wayward lover that is Leica and a middle finger to those who claimed the right to “mentor” me with facile answers to serious questions, questions they seemed unwilling or incapable of understanding let alone answering. God knows bourgeois opinion is alive and well in Leica land. 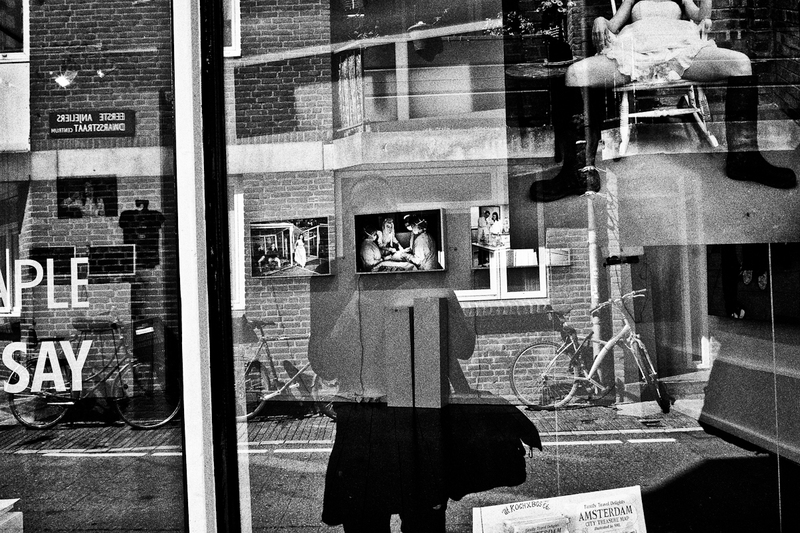 It’s inevitable that people who currently find Leica interesting would be bourgeois. 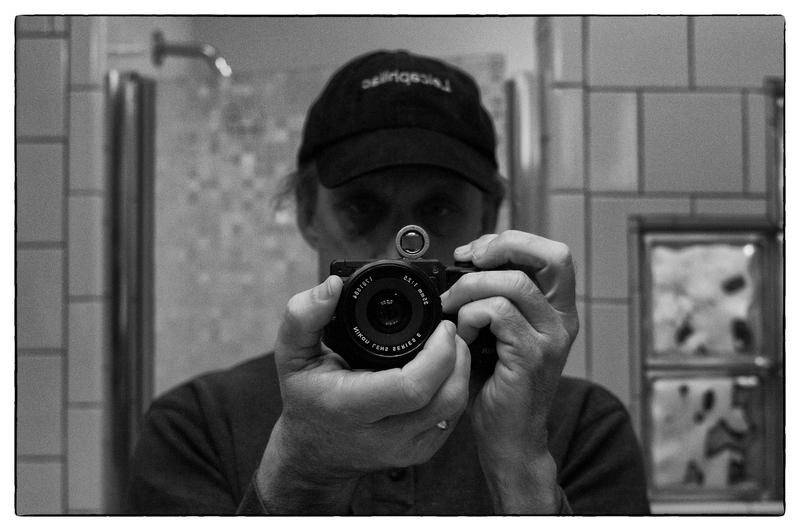 It takes money to buy a Leica, and usually a certain mindset to put large amounts of money toward a photographic trinket so as to partake of a certain status. If it were simply a matter of using a camera that fulfilled basic photographic requirements with a minimum of fuss – which is what a lot of us who use Leicas claim to be the draw – then most Leica shooters should be running around with an old manual Pentax and a few lenses, given they remain wonderful cameras that you can buy cheap as dirt, or digital partisans would be content with their well-used Nikon D200, cameras whose evidence of use was legitimately earned and not baked in from the factory. But, of course, we’re not. 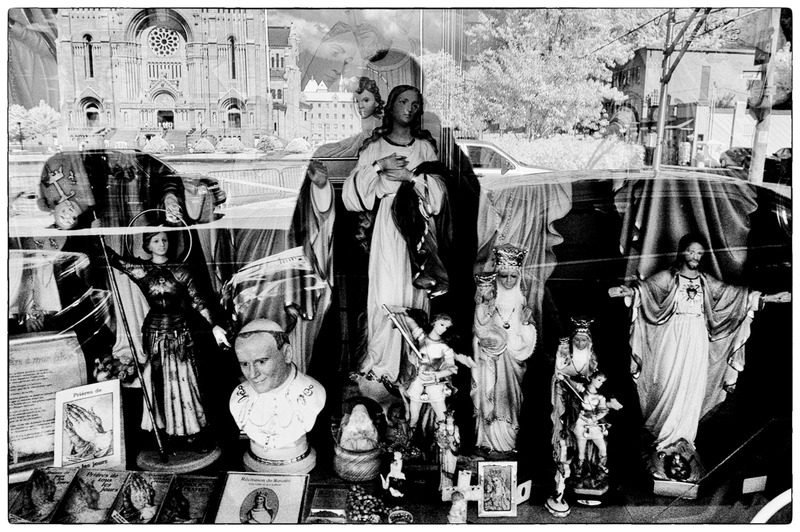 We’re standing in line to buy the newest Leica M or Q or T or whatever it is at that moment that Leica and their enablers tell us we must have, the latest and most up to date, because only then, we are told, will we finally possess a photographic instrument sufficient for our Promethean creativity. Of course, the logic of consumerism requires the process of technological “progress” never end. The very nature of capitalism admits of no endpoint, no time when we should be able to say “enough, I’ve got enough to do what I need to do. Everything from here on out is superfluous to requirements.” Were we to get to that point, Nikon, Canon and Leica would all go out of business. Surprisingly, what I’ve found is that there are a lot of really thoughtful, intelligent, experienced people who read the blog and agree with me about most things. I assume it’s because it’s not the same old thing that one finds in most camera/photography blogs, where the emphasis is usually all about gear and the gear discussion is typically weighted towards the next new thing without anyone stopping to think about where the whole thing is heading and why we need it to head that way. It does make sense: internet forums tend to attract the most neurotic and rabid partisans of any given subject; normal people, enthusiasts with a sense of perspective, typically aren’t found on internet forums debating the bokeh of the Aspherical Summicron. They’re more interested in meaningful photographs and the means to create them, which involves discussion and understanding of photographic history and various aesthetic choices. This isn’t to say that a certain level of gear talk isn’t interesting or normal. It is. Appreciation and discussion of the tools we use should be part of that discussion, but it needs to be seen in context. It seems to me that modern photographers too often confuse means with ends. By this I mean that we’ve become fixated on the tools we use and not on the purposes we’re using the tools for. Of course, this neurotic focus on photographic tools didn’t start with the digital age; film users were, and are, just as fixated on the technical aspects of the craft as today’s digiphiles. What’s changed is the pace of technological change, now so fast it’s almost impossible to keep apace. No sooner has some technological advance been introduced then it’s been made obsolete by the next advance. This hyper-accelerated pace of technological advance, unique to the digital age, seems great in theory, but in practice its only benefit is that camera makers can continue to claim a reason to sell us a new camera every 18 months. Baked into this process is a cynical duplicity on the part of camera manufacturers and their Madison Avenue agents- claim your latest offering to be a necessary advance, something that makes the previous iteration -the one you told us 18 months ago to be the greatest thing ever- obsolete, worthless, of no value. Rinse and repeat every 18 months or so, ad infinitum, then let the dupes and fellow travelers, the “reviewers”, drive the process forward. No one seems to ask “to what end?” As such, there’s no equilibrium to be reached, no point at which we’re allowed to say yes, that’s it, this is all good enough, I don’t need anything else to effectuate my photographic intent, thank you. 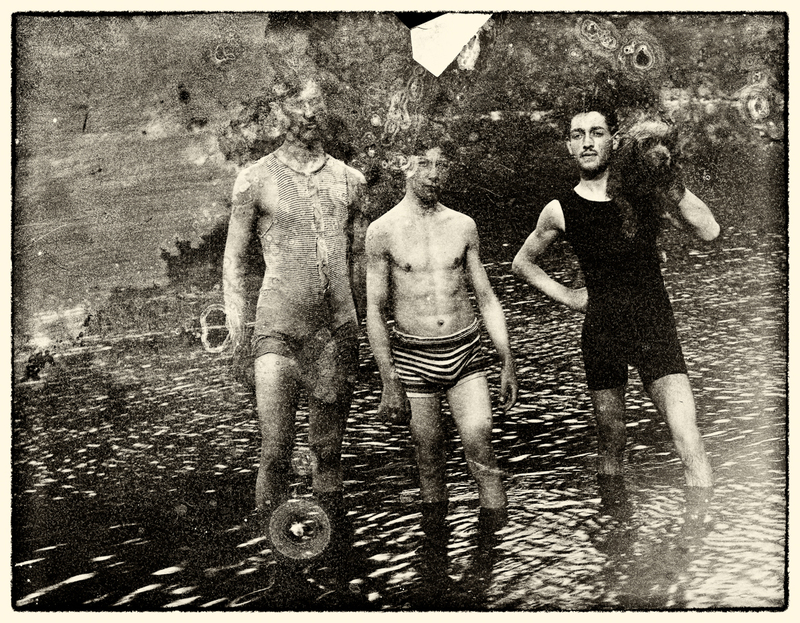 ************* A couple of years ago I bought a box of glass negatives in an antique store in Orleans. This is one of them, scanned. Tell me that’s not cool. At least there’s no equilibrium reached without a conscious decision to get off the ever revolving hamster wheel of “technological improvement.” It’s my opinion that you need to get off the technological hamster wheel if you are to develop creatively. Fixation at this superficial level of your photography is a dead end, deflecting you from real creative issues. This is where Leica and Canon and Nikon want you – perpetually dissatisfied, yet holding out hope that the next incremental technological “advance” will finally get you there. At base, if I look back on all I’ve written the last few years, the one consistent theme of the blog is that it’s possible to be happy and creatively fulfilled working within the parameters of basic photographic needs – aperture, shutter and film or equivalent spec-ed sensor. The rest is all optional. It may be fun to collect cameras or own the latest technology or simply find a pleasant diversion in identifying with a particular brand or type of camera, but those things aren’t necessary to be a serious photographer. What’s necessary is a mindfulness of the craft and its history, an understanding of your agency within the process and a consideration of the means by which you can realize your intent. If I look back on almost a half century of dedicated photography, I’m struck by the obviousness of the fact that the meaningful photos I’ve made during that time have nothing to do with types of cameras or with technological prowess. Relying on technical virtues for visual interest is a cheap parlour trick. One of my favorite photos ever, a print of which hangs in a good friend’s house – which I admire every time I’m there – was taken with a wooden pinhole camera, handheld for a few seconds. Just a wooden box and some light sensitive film – and a user with an aesthetic sense built up over years by reading and looking and studying and thinking. Or they’re products of an individual sensitivity to the ephemeral nature of time and the miraculous nature of photography. You don’t get there by obsessing about cameras; you get there with a broad, liberal understanding of the world and your temporary and precarious place in it. 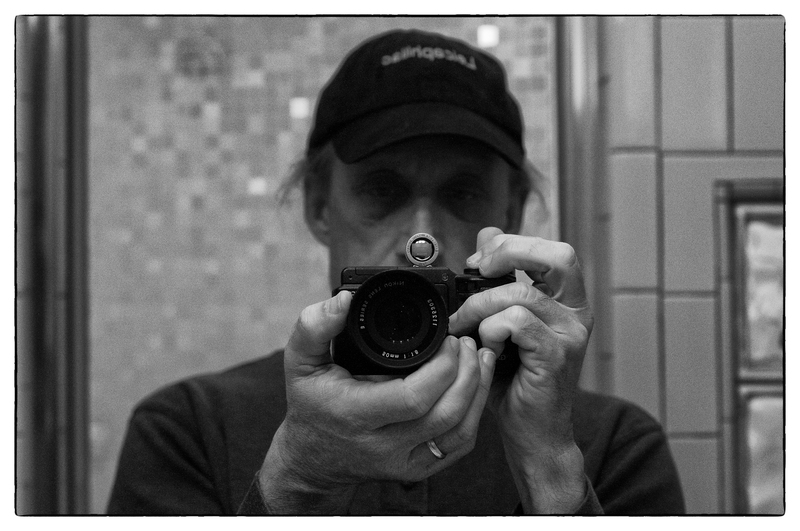 The most interesting posts I’ve published – interesting for me, at least – are those that involve specific photographs and the photographer’s understanding of the photograph. The history of the photograph. The reason that photograph means something to someone, the role that photograph plays in that person’s consciousness, its emotional and psychological payoff. I’d like to do more of that going forward, in addition to the usual silliness that helps me keep the gearhead impulses in perspective. I’d like to hear more from others, see the things that a love of photography has helped them articulate and how they’ve thought about it and done it. That, for me, get’s to the heart of the miracle of photography and why its remained a central interest in my life and why I keep at this modest attempt to articulate it. This entry was posted in Film photography, Leica, Philosophy of Photography, Uncategorized on January 20, 2018 by Leicaphila.